Home » Reviews » Video Game Reviews » Ghost Recon Wildlands Review. Ubisoft brings us a new title in the Tom Clancy franchise, Ghost Recon Wildlands. Ghost Recon is a long awaited open world, co-op game in a new location I have never experienced in a video game before with an all new enemy, Does this game get consumed by the Wildlands or does the ghost team reign supreme? let’s find out. Story: You and your special operations team start off the game by entering Bolivia and meeting agent Karen Bowman, as you make your way to the extraction point Karen is briefing you on the mission (operation Kingslayer). Your mission in Wildlands is to take down the Santa Blanca cartel and stop there terrorizing of the Bolivian country, Corruption of politics, Cocaine Distribution, kidnapping the rebels (Resistance against Santa Blanca Cartel). Once all the territories are cleared you then have the chance to go after El Sueno who is the head honcho of the Santa Blanca Cartel; as you progress through the game and clear regions you end up taking out the Cartels lieutenants by destroying their plants, communications, and convoys. Gameplay: Ghost Recon Wildlands is an open world third person/First person open world game that pushes co-op, but I prefer to play it by myself that way I am in complete control of myself and my team. The team in this game plays a very big part by aiming at certain enemies to take out at enemy bases that you assign to them; it’s not all good though your team can be spotted very easily, at often they take forever getting to a position to get a clear shot on a target, and they sometimes do little support during a gun fight outside of a vehicle. The gameplay is fantastic from customizing your guns anyway you want too, the leveling up perks like your drone, squad, and gadgets, but when you are out there doing the missions and side content it becomes very repetitive after a few regions are cleared but that is ok I find, because it is still a very exciting game you just need to take breaks. Stealth is a very important part of this game when approaching enemies and enemy bases because if you go into a full blazing gunfight you’re going to die. Traveling is another thing that has issues all on its own, you can go off road with vehicles but don’t let me get stuck on a rock with a dirt bike. The controls with some air vehicles are not great which is unfortunate because I love going as high as I can and jumping out and parachuting. ConClusion: Ghost Recon is a fantastic game, that unfortunately, you need to take breaks from due to repetitiveness, it reminds me of movies like Act Of Valor or Lone Survivor. Co-op is pushed in this game but is not needed to have a great experience, a great story with good gameplay good but not great due to glitches and technical issues with the driving. 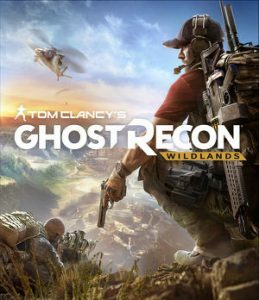 To rent or buy Ghost Recon Wildlands go to Gameaccess.ca Canada’s largest game rental service.